Does Child Support Include College Tuition in Illinois? 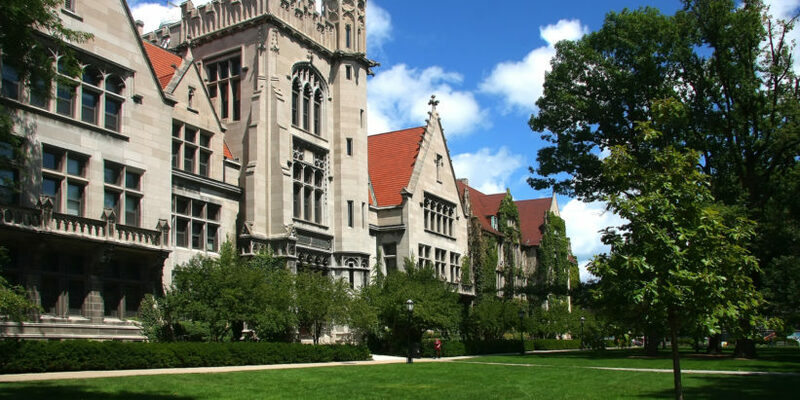 Home Blog Divorce Does Child Support Include College Tuition in Illinois? Mostly due to a shrinking student population and growing retirement fund obligations, Illinois is one of the most expensive states in the country in terms of college tuition. At kitchen tables all over the Prairie State, late winter and early spring are the time when theoretical discussions about these costs take on a whole new meaning, as fall enrollment deadlines inch closer. Most non-residential parents are happy to contribute to these costs on their own terms, but if a judge forces them to make contributions, that is a different ballgame. In most cases, Illinois child support ends at age 18 or upon graduation from high school. But the non-minor support loophole may extend the financial obligation beyond that point. Until a few years ago, most people had never heard of this provision. But non-minor support orders are becoming increasingly common in both divorces and modification matters. Once children turn 18, many of the normal child support issues and rules fall by the wayside. So, non-minor support orders are often much more complex than child support orders. For example, if the child is over 18, the residential parent no longer has the exclusive right to receive payments. In many cases, the child has moved out of the house, so there is no more “residential parent.” Additionally, child support payments are general purpose payments intended to give the children a better lifestyle. Non-minor support college tuition payments are single purposes payments designed to defray educational expenses. The nature of these expenses is another matter. Illinois law states that a non-minor support order can take into account not only tuition and fees, but also books, living expenses, transportation expenses, and other costs. These other costs are quite subjective. Does “transportation expenses” mean two bus tickets home each semester or a private vehicle? Does “living expenses” mean a shared on-campus dormitory room or a private off-campus apartment? The list goes on. Additionally, minor child support payments are unconditional. But a non-minor support order can include conditions. Commonly, the child might be eligible for help as long as s/he take a certain number of hours and maintains a certain grade point average. The obligor can also make payments to the child or to the school or other entity which is entitled to payment. Child’s Financial Resources: This category includes not only savings and scholarships, but also things like student loans and employment income. There is usually an issue here as to how much the child should borrow or work while at school. Child’s Academic Performance: Post-admission academic performance is relevant, and so is pre-academic performance. A traditional four-year university is not for everyone, even if they are technically qualified to attend the institution. Sometimes, a community college or technical college is a more realistic option, given the child’s high school record. Relative Income of Each Parent: This inquiry is often really tricky. A subsequent spouse’s income is usually not relevant for child support purposes, but it is relevant for college tuition purposes. These new spouses may not look forward to subsidizing the education of a child from a prior marriage. The judge may order discovery as necessary to assist in this process. Such discovery usually includes an exchange of financial information, such as any contributions a parent made to a 529 or other college savings plan. Illinois child support obligations may extend until the child obtains a bachelor’s degree. For a free consultation with an experienced family law attorney in Long Grove, contact the Law Offices of Martin A. Delaney III, Ltd. Convenient payment plans are available.